The stupidity of the Nigerian leadership under Buhari led despotic government, knows no bounds as another danger alert hits human race from the Fulani Republic of Nigeria. Muhammadu Buhari who in no unmistakable terms, steadily displays his love and support for terrorism and terrorists, has once again, proven his actions of insanity as he seriously contemplates granting amnesty to members of one of the world's most deadliest terror organizations - Boko Haram, which is operating in Nigeria. This is part of the sinister agenda of his regime, meant to facilitate the Islamic jihadistic drive handed down to the Nigerian Islamic fundamentalists. It is noteworthy to state here that the biggest global challenge of our time, is how to curb the excesses of terrorism against humanity. Every civilised nation that values human dignity, freedom and the principles of the rule of law, is expeditiously, employing tenable modalities that will help eliminate terroristic gangsterism for the enhancement of human lives and values. Nigeria, without any disputation, is the only African country that has the potency of rapid population growth of over 200 million citizens which will definitely pose a global threat if thousands of these deadly Boko Haram terrorists are eventually granted amnesty by the Buhari government as presently being considered. The whole game plan in their kitty, is to integrate them into the Fulani killer herdsmen terrorism group which is being aided and patronised by the Nigerian government. This is essentially, a major factor, why this British contraption has to be dissolved and imminently too. The civilised global community and major International players like the United States of America, Russia, Israel et cetera, should as a matter of expediency, synergize to counter Nigeria in her desperate agenda of breeding species of top ranking terrorists that will unsettle global peace. The peace loving people that are contrapted into Nigeria, should be extricated from this trap of impending mayhem. As an upholder of human value and one born into a province where human lives are treated with utmost respect and dignity, it becomes necessary therefore, to enjoin freedom lovers all over the world to stand up to this challenge. In my home land which is Biafra, human lives are exceptionally given premium attention. That is why we call human being (mmadu) the "beauty of life". 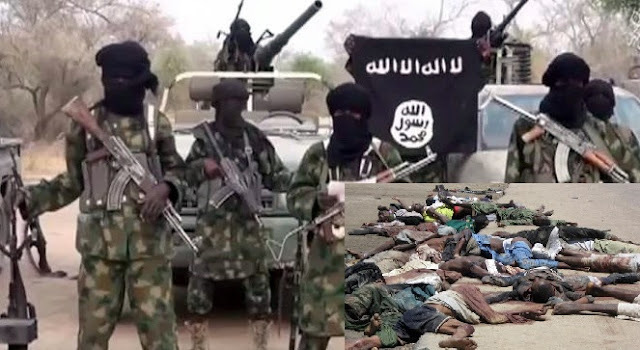 If the Boko Haram terrorists are eventually granted amnesty officially, as purportedly planned by the Nigerian government of Muhammadu Buhari, it will then invariably be an open invitation to life and peace loving individuals to pick up arms, and start massive killing of people. It will dedound to "free for all" recruitment process into full blown terrorism across the country with the mentality that one day, the government will also give a blanket kind of forgiveness for the perpetrators. and justice against the Islamization drive of the vampires ably led by Muhammadu Buhari. Igbo Biafrans particularly are slavishly marginalized, subjugated and strangled by the tyrannic policies of the Fulani caliphates just because of their refusal to identify with the haters of peace, inventors and peddlers of evil.